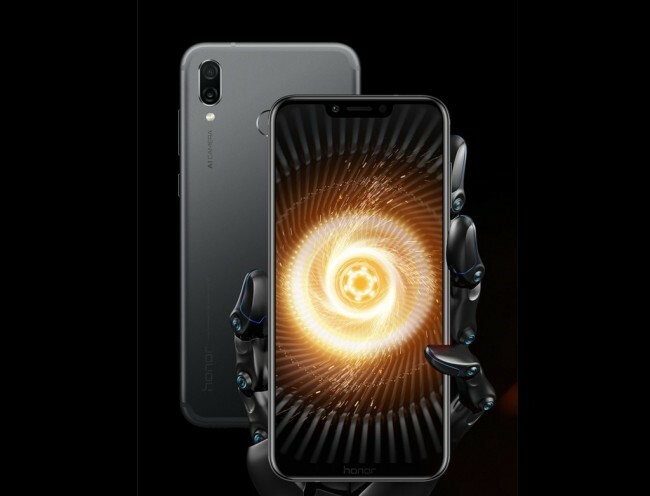 Honor Launched its new Mid-range Smartphone The Honor Play, As they say it is Crazy Fast and Crazy Smart because of its new Technologies and Features of GPU Turbo and AI. GPU Turbo is basically an Optimization ≈ Revolutionary Graphics Processing Acceleration Technology which will be delivered to the Compatible Huawei and Honor phones with a software update. It will enhance the Gaming experience of the Phone and also The Company claims that GPU Turbo Technology will increase Performance by upto 60% and Efficiency of the phone by upto 30%. Honor Play ” Crazy Fast, Crazy Smart”- Now this phone is specially designed for today’s young generation who loves to play adventures games on their smartphones. Honor put a new technology like GPU Turbo which enhance overall using and gaming experience from the device, They also claim to have 4D Gaming Experience with Smart Shock. The strong Kirin 970 Chipset Powers this Smartphone giving it the intelligence in gaming and photography for a professional experience. it brings an amazing 3D sound effect which gives you a feel like you are in the game. It has a 6.3-inch Honor FullView Display or as they say “The device is the display”, of 89% Screen-to-body Ratio and it Metallic Mate finish with the Midnight Black Navy Blue, and a new Ultra Violet color. All these Clicks are intelligently Stored in AI Gallery that helps you classify your pictures of different scenarios, and automatically selects your photos and videos based on time, location, holiday, and birthday etc. Talking the Smartphone Security it has both Fingerprint Sensor and Face Unlock which also uses AI to adapt various lights and small changes of a face to unlock the device more accurately. Honor also made it more Suitable for Gammers by Adding a new breakthrough in phone design with the Player Edition embodies science and technology with laser engraving to enhance the feel of gaming experience. Available in both Black and Red. Display IPS LCD touchscreen, 16M colors 6.3 inches, (83.0% screen-to-body ratio), (1080 x 2340 pixels) resolution. Priced at 19,999 INR & and will be Sold by Amazon. It is surely a good Mid-range Smartphone with Some AI Powers which makes it extraordinary, It has a huge 6.3 inch display and 6 GB RAM, It does not lack in any Major features should be on a smartphone, But it would be better if Honor had included more Storage Options. Previous Previous post: Android P Officially Unveiled by Google, Know about it here!